I have an 8 week old little baby girl, so clearly I won't be getting her an Easter Egg! So this is the first time in my life I have considered AN EASTER WITHOUT CHOCOLATE. So the natural choice when thinking Easter without chocolate, is to go with bunny imagery. Tis the season of the Easter Bunny after all or anything egg related - not necessarily chocolate! 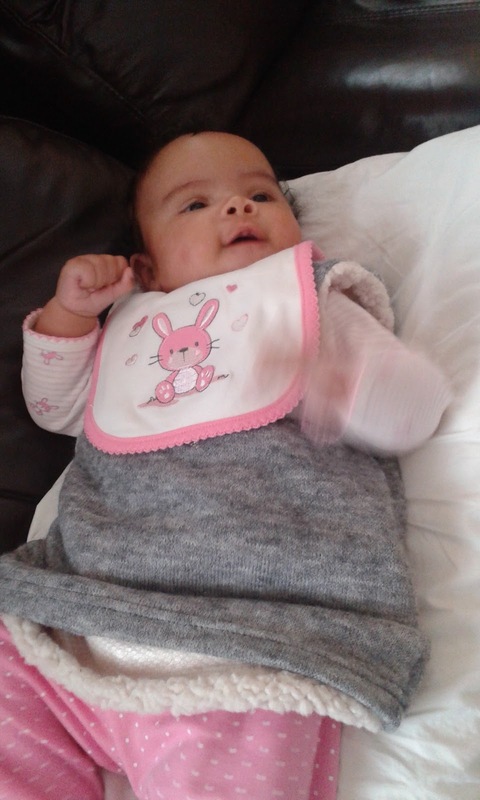 My baby girl recently started dribbling A LOT, and coincidentally the bib I grabbed from the drawer has a bunny on it, which would be the perfect seasonal clothing gift for a baby :-) Here she is with bunny bib on Instagram. The dress she is wearing is from Next and was in her Nappy Cake from my best friend. Tomy have perfect Easter toys, with the Lamaze Bella Bunny Blankie £9.99 suitable from 0+ months. The Bella the Bunny Hide and Seek book is also £9.99 for 0+ months. Bella the Bunny from Lamaze will have babies hopping with delight with her sweet smile and cute tickly whiskers. Featuring peek-a-boo holes and a squeaker babies will be entertained over the whole weekend with her Hide ‘n’ Seek Book which has a surprise on every page! The Bella the Bunny Hide ‘n’ Seek Book also has a loop that lets you hook the book onto pushchairs too. Suitable from birth. RRP £9.99. Babies will love snuggling up to Bella the Bunny Blankie which is great for cuddling and play with its chime noises in bunny’s head and crinkly ears. Suitable from birth. RRP £9.99. There are actually SEVEN BUNNY TOYS on their Tomy website that make perfect Easter gifts for baby. I'm in love with them all. Lil lady doesn't have any toys yet but I'd say is just about ready now. Easter wouldn’t be complete without a visit to the farm to see all of the animals being born. The Fun on the Farm Playset from the John Deere 1st Farming Fun collection is any junior farmer’s best bet when it comes to putting a muddy boot on the first rung of the farming ladder. 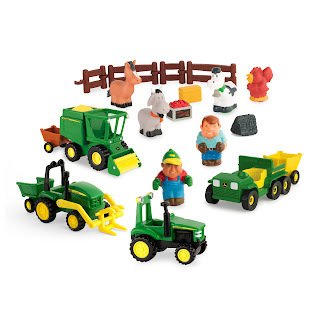 This great value 20-piece set features chunky John Deere vehicles and figures with soft-touch surfaces and rounded edges for safe play. There’s a combine harvester with spinning thresher, a tractor with a tipping trailer, a digger with front loader, a 6-wheeled multi-purpose vehicle with a tilting dump box, plus a couple of extra trailers! Vehicles have easy roll-along wheels, lots of moving parts and a hitch to tow. Includes 4 farm animals, fencing that interconnects, straw bale, a tomato crop and 2 farmers. Suitable for junior farmers ages 18 months to 3 years. RRP £40.99. Older children are in for a cracking start to the Easter weekend with the launch of Disney’s animated blockbuster Zootropolis which hits cinemas nationwide on 25th March. Children will love cuddling up to the star of the movie, Officer Judy Hopps who is available in feature plush. 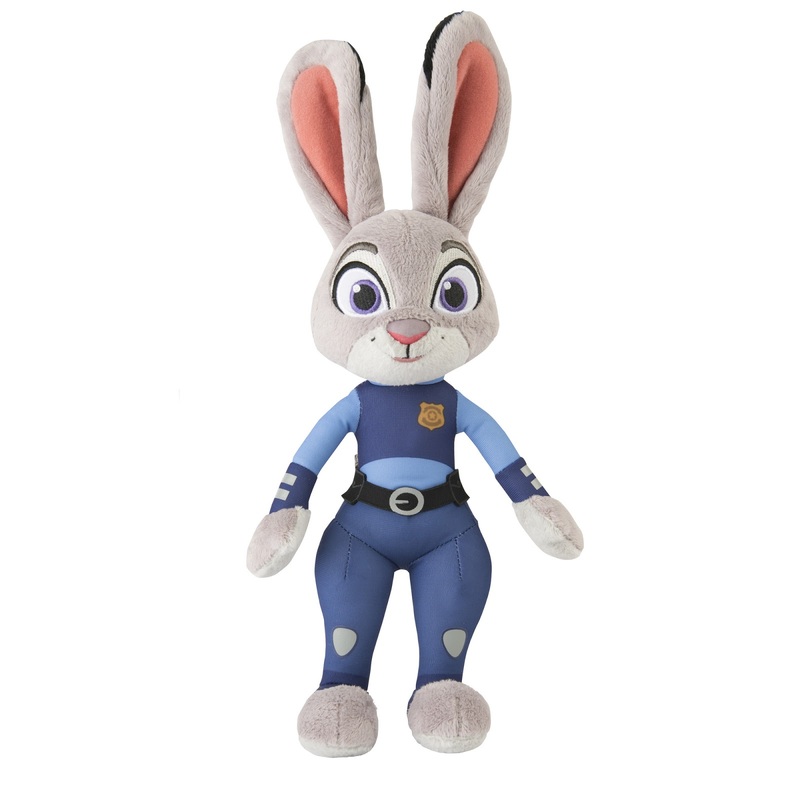 Give her a squeeze to hear sounds from the movie! Suitable for ages 3 years and over. RRP £16.99. Mia from The CSI Girls says that Lush have a great range. Tami from Mummy of Two says: "We avoid buying chocolate for our children as they get so much from family members. This year we have bought our big two an Easter themed LEGO sets each and our youngest will be getting a small bunny teddy". Zoe from Mama Geek says: "My parents are away at the moment on a trip the other side of the world. Instead of chocolate gifts they have ordered books for the girls instead - a puzzle book from a series they love, and a fun Easter one called "we're going on an egg hunt" - I'm sure they will love them!" 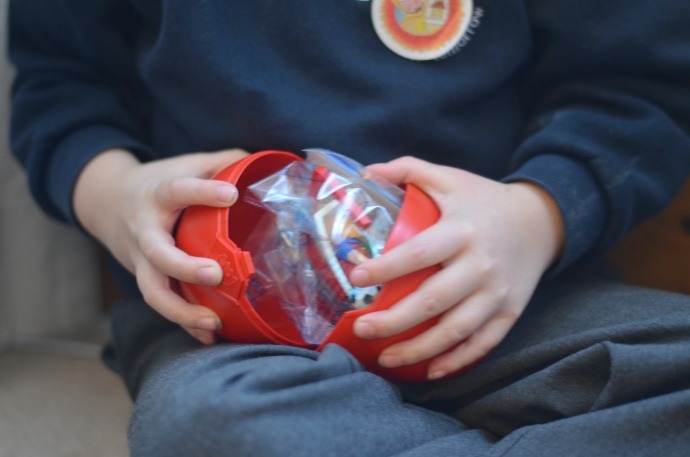 "My daughter received a gorgeous personalised Easter bunny toy, that would be a great alternative to chocolate eggs!" Becky from The Mummy Adventure says Playmobil eggs. Her verdict: "The eggs currently cost £6.99 each and make a great alternative to chocolate- something we need to think about with Finn, although he is far too small for these. We would love to see a junior version with the 1,2,3 range as well, currently there are 4 choices all aimed at 3-10 year olds". 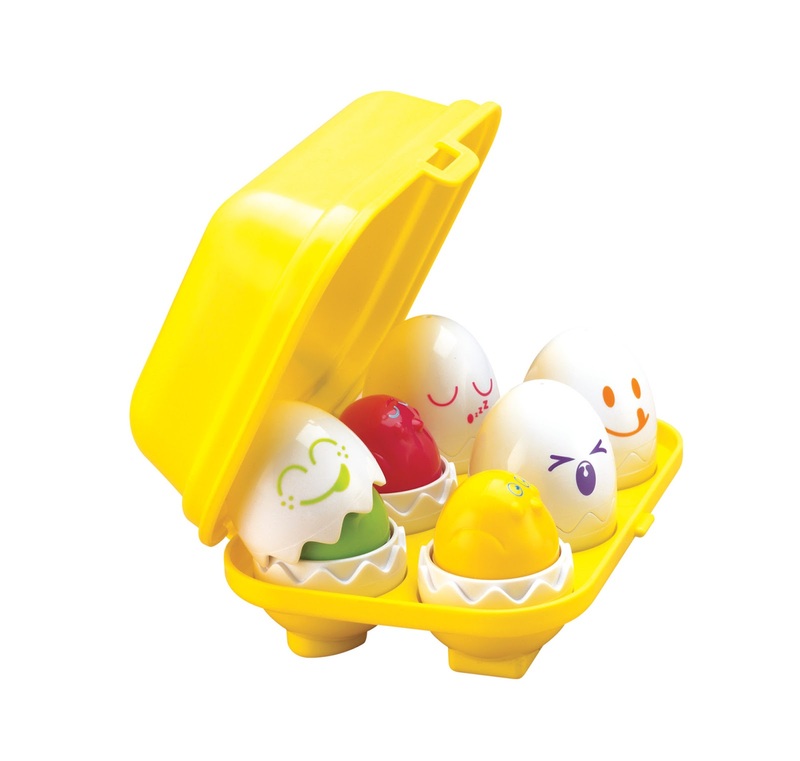 Aaron ADORES Kinder Eggs so I think this would be IDEAL for him - time for me to hit the shops. Sarah from Boo Roo and Tigger Too says: "My mum would always buy us a new outfit at Easter instead of eggs, something I have continued with my children". I know for me, Liska NewMumOnline, I got anything from 8-15 eggs as a child from friends and family, so to get something NOT egg related from Mum and Dad would be perfect. There *is* such a thing as too much chocolate. Abby says: "I find that when you're getting a bit older you don't want chocolate or eggs anymore. So I've done a post about coconut lane they have some great affordable gifts for those in their teens. Plus I have a discount code. Brand Ambassador for Coconut Lane. 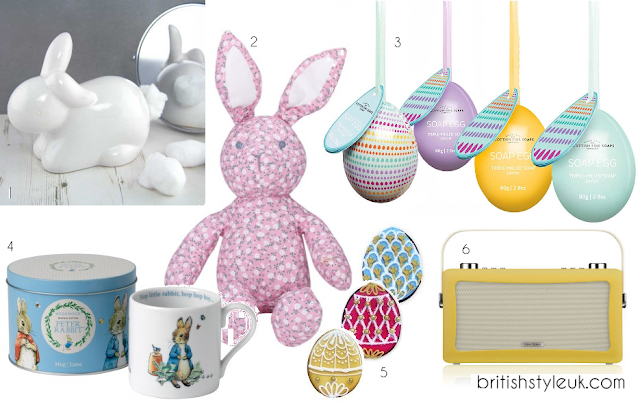 Rebecca has put together an Easter Gifts Ideas for Children blog post. 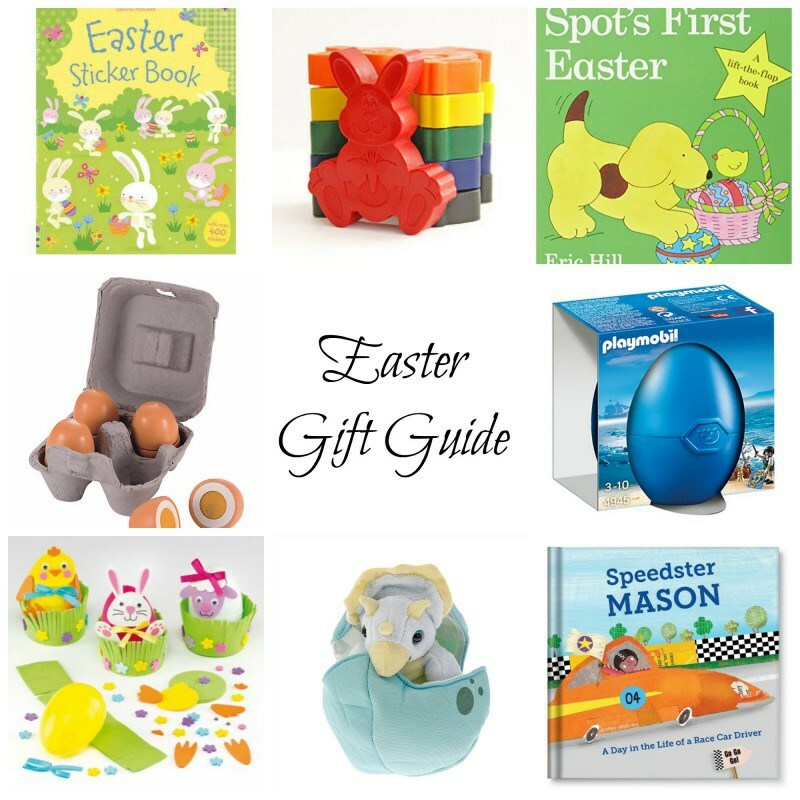 Pippa from Red Rose Mummy says: "I've ordered my littlest a Spot's First Easter board book for his first Easter. Generally we get our three 'something to eat, something to wear and something to read'". Becky from Pink's Charming is getting these gorgeous night lights. 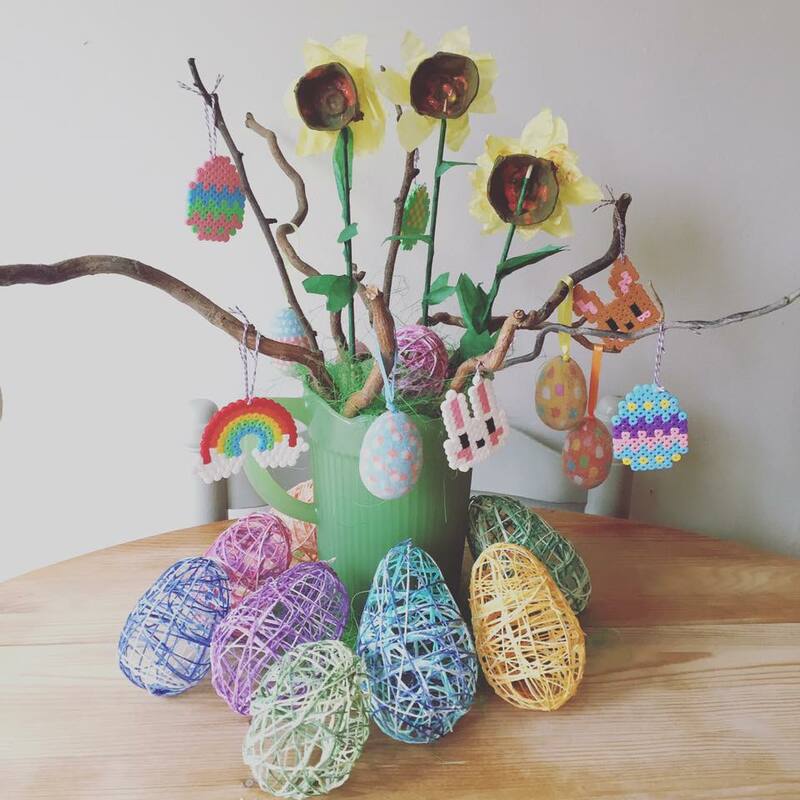 Jenny from Midwife and Life says: "My mother in law never gets our children chocolate for Easter, it's always a few easter decorations. I love it, because they get more than enough chocolate, and the decorations come out each year and they get excited about the celebration". Charlotte from The London Blog has two Easter posts: How to Make Hot Cross Buns and Easter Themed Biscuits. Elaine from Entertaining Elliot has done a gift guide that does not contain chocolate. Yvette :-) We are Still Usually Eating Easter Eggs in the Summer. Which is why they're going on days out, including Folly Farm in Wales, which we at NewMumOnline can HIGHLY recommend! 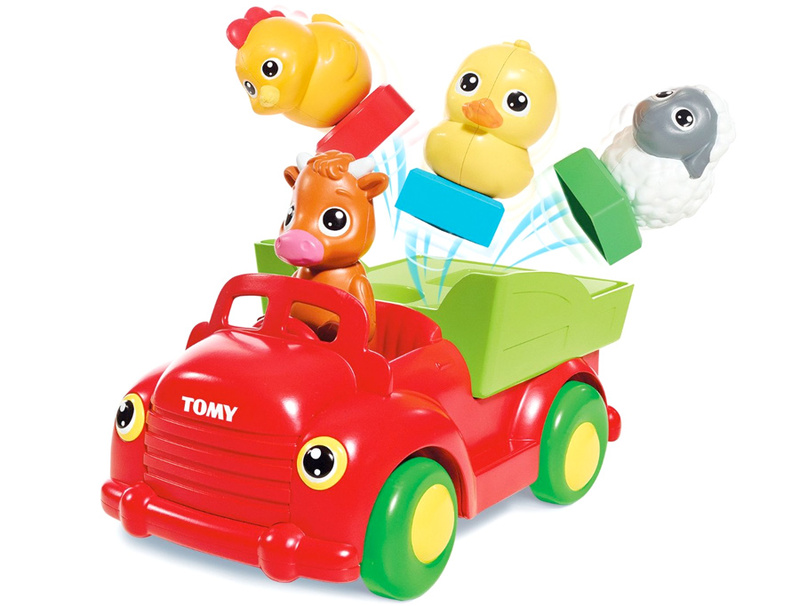 This post is not sponsored but was simply inspired by a very recent promotional circular mailout email from Tomy, that set me to thinking about toys for newborns and them being seasonally Easter themed! That had me then thinking about an Easter without chocolate! We did Easter crafts ❤💛💚💙 Or actually, for some reason I put my "Pinterest Mum" stretchy trousers on today rather than yesterday's crumpled ones that were on the floor like I usually do. I did laundry. I did paperwork. And then my medication must've really kicked in because I then set the table up with Easter crafts to make because that's who I am today. I asked Noah if he'd like to join me for some wholesome, crafty magic and he gave me a withering look and said "No, I'm playing Minecraft" and continued to ignore me. So I did Easter crafts. On my own. And now my dining table looks like the Easter bunny had a bad psychedelic trip in Poundland. You're welcome. For Zen Easter is all about daffodils! The Diary of an Unexpectant Mother is buying a spiderman action figure instead of an egg. Karen is doing an Easter Egg hunt without chocolate! Sounds fab! Last year the weather was SPECTACULAR Easter weekend, but sadly I don't think we are in for the same this weekend, but then again Easter is earlier I think. Anyway, whatever you do, have fun. Oh and by the way, Smyths Toys Superstores are having a free party in all of their stores this Saturday. Most of my family live in a large town in the West of Ireland where they had their first TINY WEENY newsagents store (with toys in the back), hence my loyalty to them in including this info. I think we may actually go too! This Easter every area seems to have different school holidays with some schools doing 4 days next week after the Easter bank holiday, and THEN breaking up - those people are benefiting from cheap offpeak holidays. We however broke up today! So glad, a fortnight of not getting up at 7 a.m.!!!! So many wonderful non-chocolate Easter ideas, thank you for including my suggestion. Wow, what a comprehensive guide. Some fab ideas there. Thanks for sharing mime. I feel like I should have made more effort now though haha! N'aw, this is so lovely! I think children get so many easter chocolate that sometimes it is nice to buy presents too.